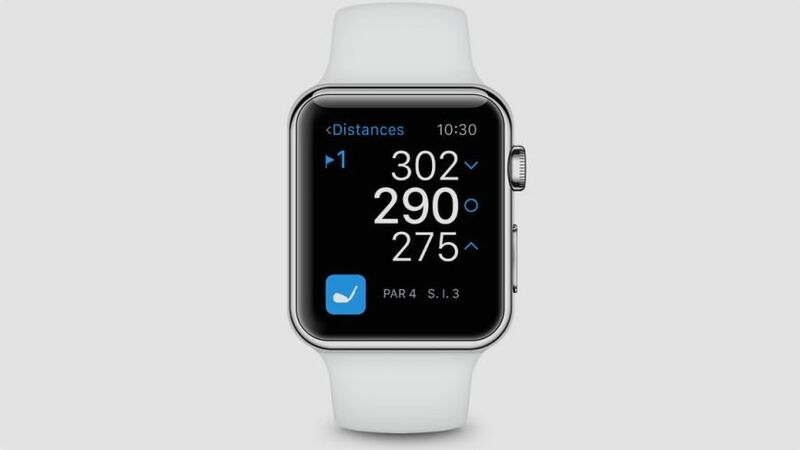 If you’re a golfer with an Apple Watch, your wearable is more than capable of doubling as a golf GPS watch. A few years ago when the Apple Watch first debuted we’d have never recommended replacing your trusty golf watch with an Apple Watch app. Tethering to your phone for a GPS signal was painfully slow, apps were clunky and frankly unstable, and it was just an unpleasant experience. But since the Apple Watch Series 2 – and now Series 3 – has GPS on-board, and a big performance boost, things are a lot different. Sure, these aren’t dedicated devices and therefore getting a reading can be a little slower than a “proper” golf watch – but our testing as now found them to be accurate and usable. 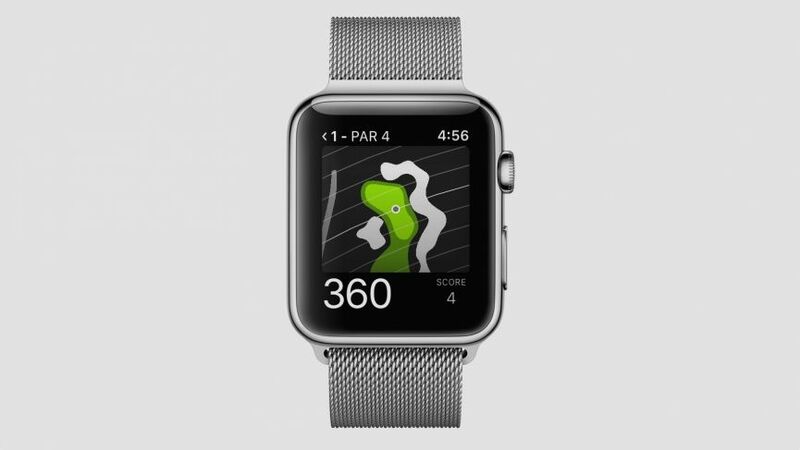 So read on for our pick of the Apple Watch golf apps worth trying out – including our top pick. Our favourite golf Apple Watch app, Hole 19’s iPhone app is a top scoring and social platform for golfers. 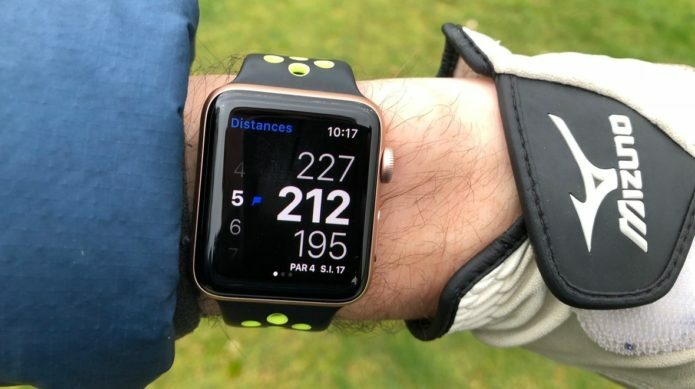 But the Apple Watch has much-improved with the more powerful Apple Watch Series 3, and now can easily match a dedicated golf GPS watch for accuracy. The Apple Watch app itself can be a little bit of a faff to use if the hole data doesn’t switch over automatically, but you soon get used to which way you need to swipe. It just took a couple of rounds to get used to. 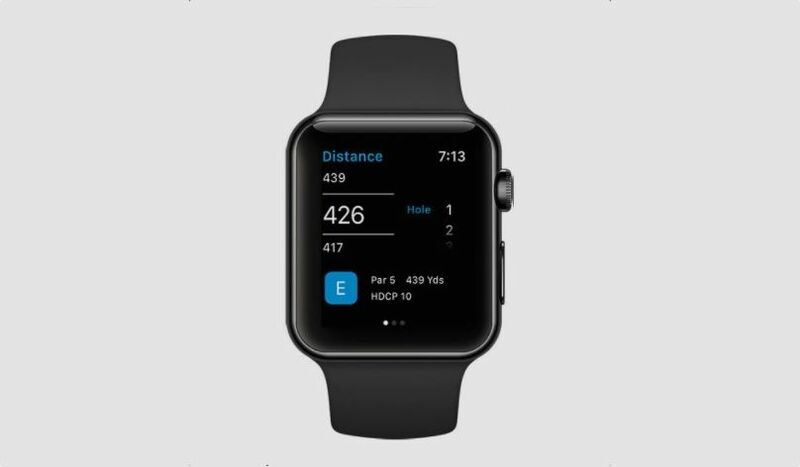 You get distances to the front, back and middle of the green, and you can keep score on your watch as well – although we still fish out the iPhone app for recording putts, tee shot direction, which is just easier to use while waiting on the next tee box. For those that live for the competition, Golf Game Book’s app is focused on group scoring. 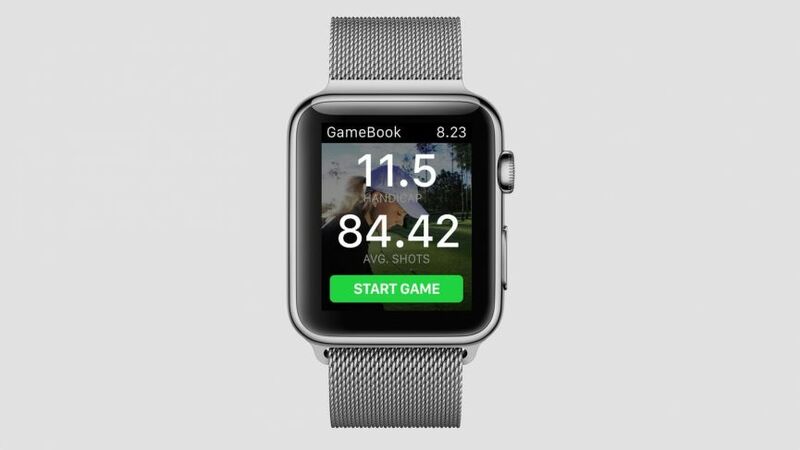 You can create tournaments with real time scoring – which isn’t unique to Golf Game Book – but you can view the leaderboard on your Apple Watch, with at-a-glance stroke-play scores for up to four players. There’s the standard range-finding aspect too, and you can input data on fairways hit/missed and putts taken. The app is no-where near as slick as Hole 19 or 18Birdies – but the group scoring thing makes it well worth checking out. Another solid range finding Apple Watch app, 18Birdies excels more at scoring, with the ability to add strokes, fairways hit/missed, putts, chips and greens in regulation in from the wrist. The Watch data view is slightly more crammed with information than Hole 19, which might not suit fat fingers. The iPhone app is really well-designed, and filled with fun extra side games, rewards and some instruction – and there’s a premium tier with club recommendations and advanced stats. Unlike the others on test, Fun Golf GPS offers a 2D visual of the green and surrounding bunkers/hazards (3D if you open your iPhone), which is actually super handy if you’re unfamiliar with the layout of the course. You naturally get distances to front, middle and back and there’s an instant shot tracking feature, which measures your drives – and you can save the good ones to gloat over later. There’s a lot more to the Golfshot platform than wrist-based distances, and it’s actually one of the better services for booking tee-times and working out handicaps. However, in terms of design it lags the competition, and we found it a little difficult to use. The Apple Watch app itself offers a complete overview of the hole, which is unique to the app, and you can zoom in on the green – although it uses zoomed in satellite imaging, which isn’t of the best quality. We much preferred Fun Golf GPS’s colourful imagery.